-Traditional lands and grooves rifling, not polygonal. When you looks at some photos, it becomes a bit easier to see some changes. 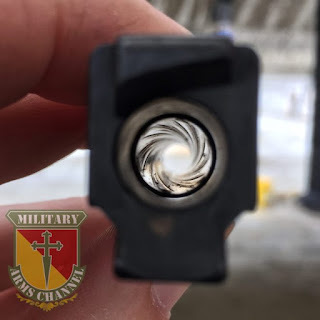 Glocks are known for their polyognal barrel, but for some reason 17M uses traditional rifling. 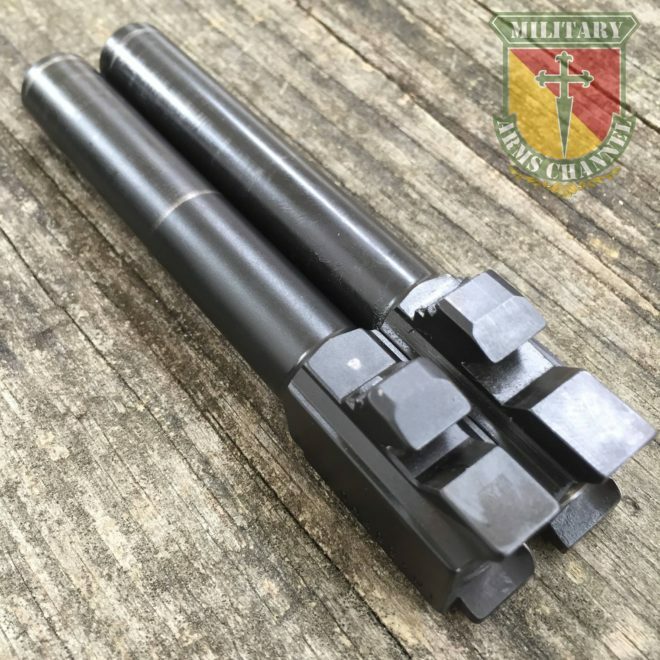 17M barrel on the left shows slightly recessed barrel lug. Inside of the slide, you can see firing pin safety plunger looking rather longer than usual design. And now inside the frame. 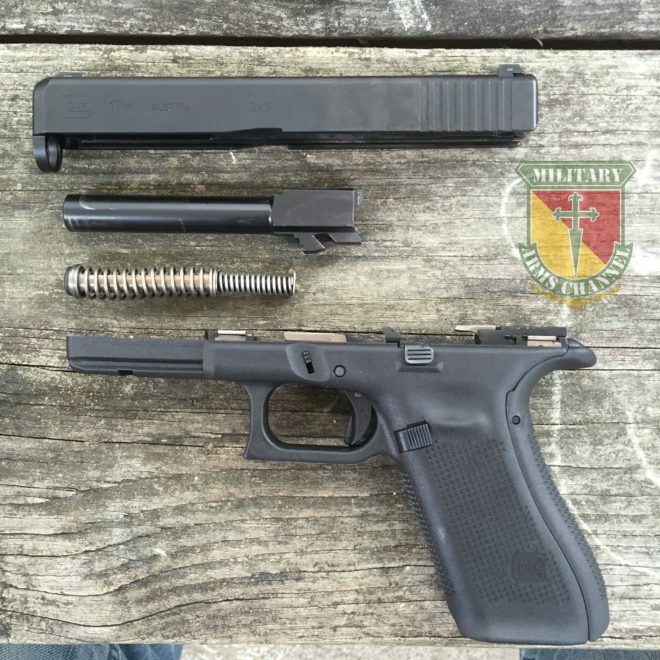 The most prominent change is addition of slide lock on the right. 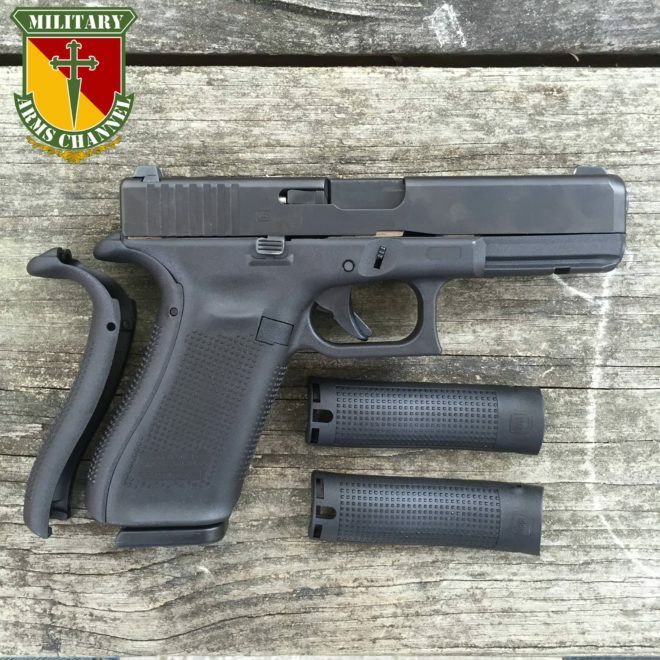 It was one of the requirements for FBI contract, and Glock managed to find a way to add that. 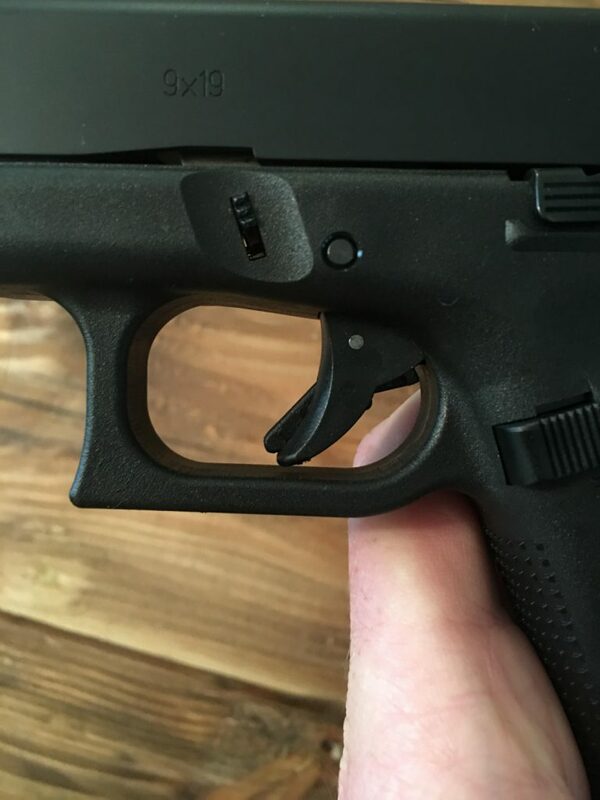 Notice the bar for the right slide lock is close to trigger bar. 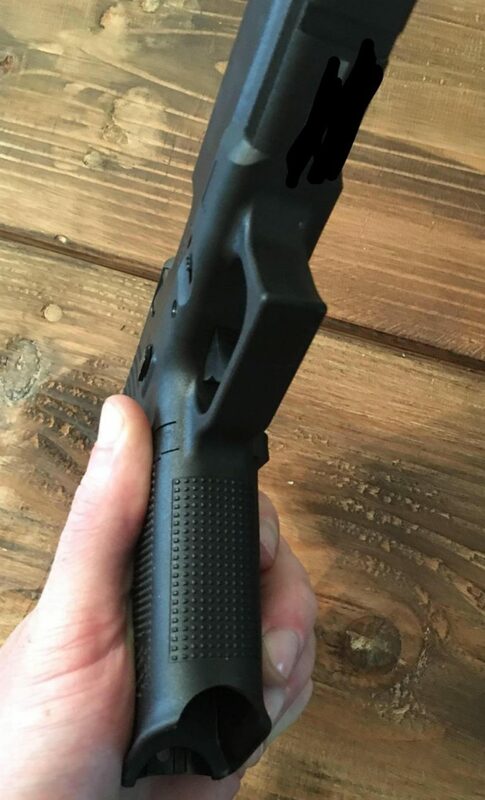 This probably moved the trigger bar inwards a bit, and necessiated the newly designed safety plunger. 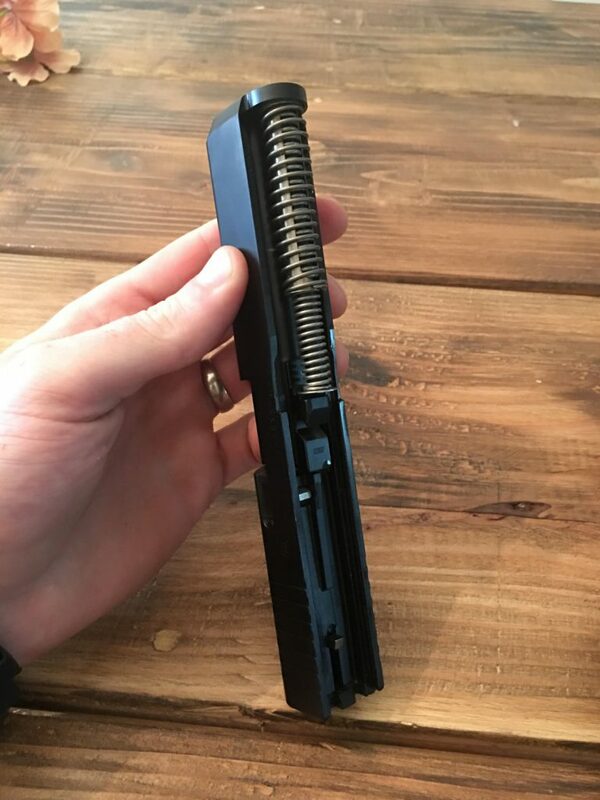 It is hard to tell if the slide lock is an one piece part or not, but it won't be surprising if it is. It also raises question of the new barrel lug's position. Could the barrel lug had to be moved due to the new design? Glock is not really known for setting trend in recent years. The company had to be dragged in to making interchangable backstrap design, and if it weren't for the FBI contract, this gun probably would not have been designed. Currently, there is no words on when this will be available on the market, or even if it will have the same features. 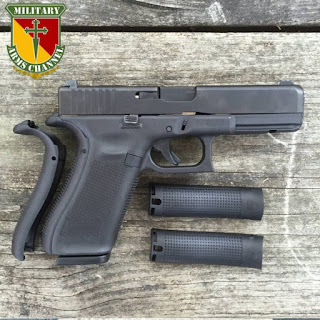 The Firearm Blog reports that the 'Gen 5' is in process of being trademarked by Glock.